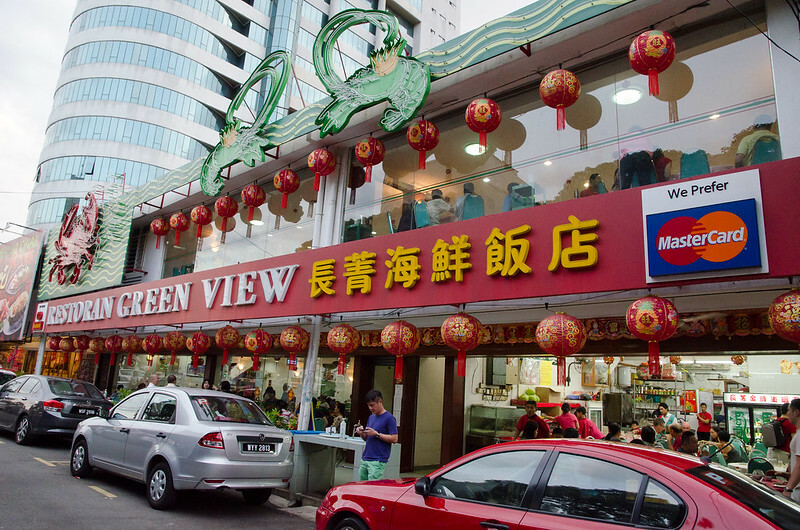 Green View Restaurant (长青海鲜饭店) is one of our favorite Chinese Seafood Restaurant at Seksyen 19, Petaling Jaya. 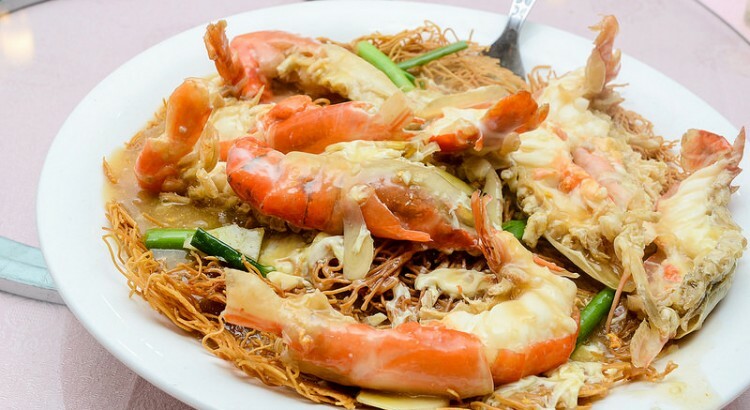 Their specialty is the famous fresh water prawn noodles (Sang Har Mein). 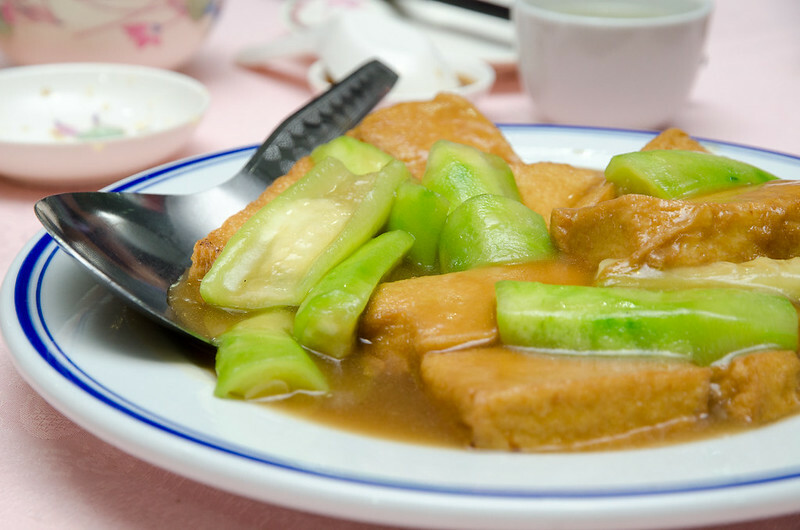 The photos below are from my several visits to Green View Restaurant and the food never fail to satisfy me on every visit. 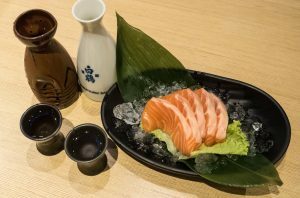 The staffs here are very friendly and the delicious food are served pretty fast too. 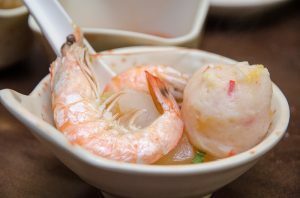 Big freshwater prawn with noodle and gravy. 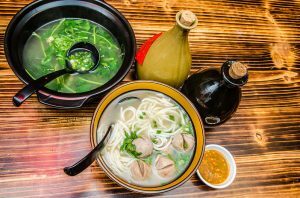 The price is seasonal and the noodle is refillable. 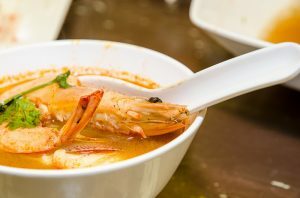 So if you are all for the noodle and prawn, you can skip the white rice. However the gravy mix very well with white rice too. The size of the freshwater prawn compared to my spoon and fork. The meat are firm and delicious. 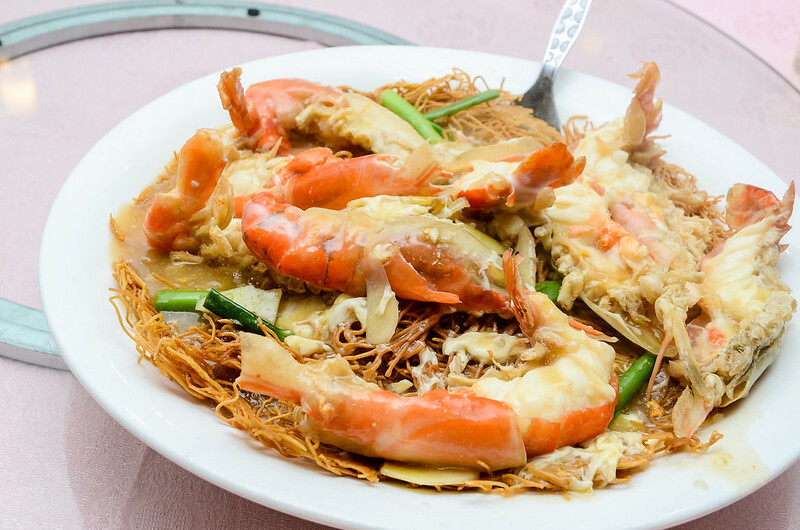 Side view of this plate of freshwater prawn noodles (Sang Har Mein). 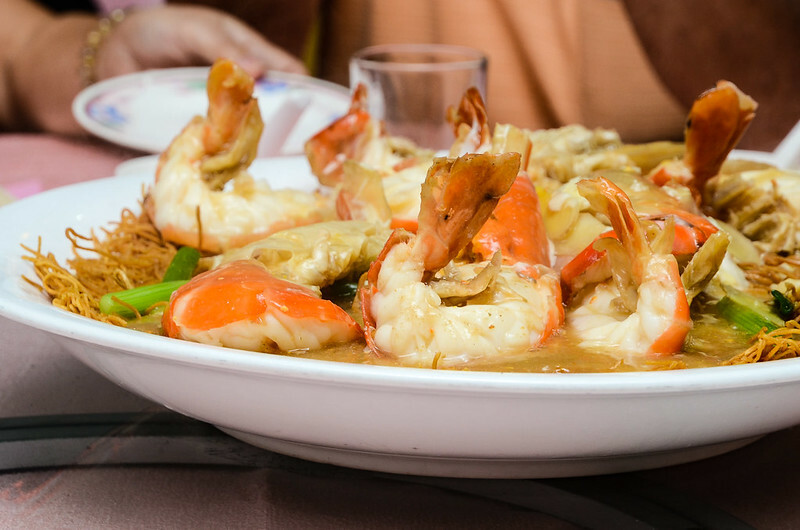 The size of the prawns are not consistent but the taste is always delicious for all of our visits. 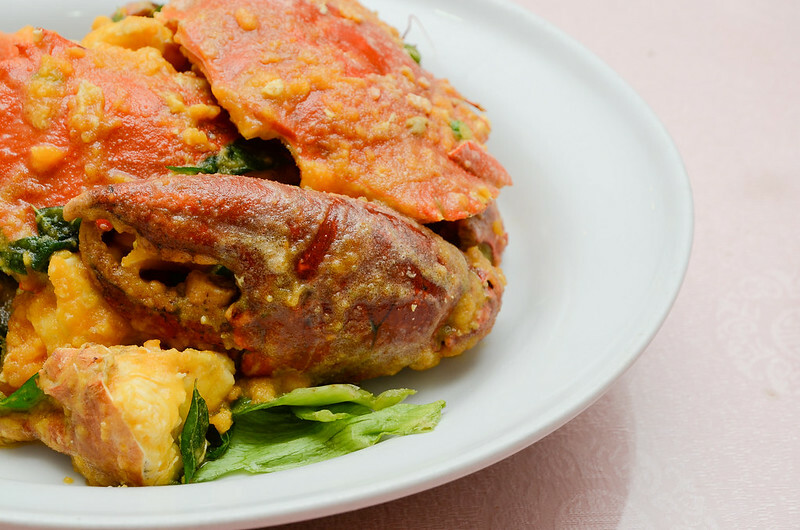 Besides the fresh water prawn, this restaurant also serves one of the best Salted Egg Crab. 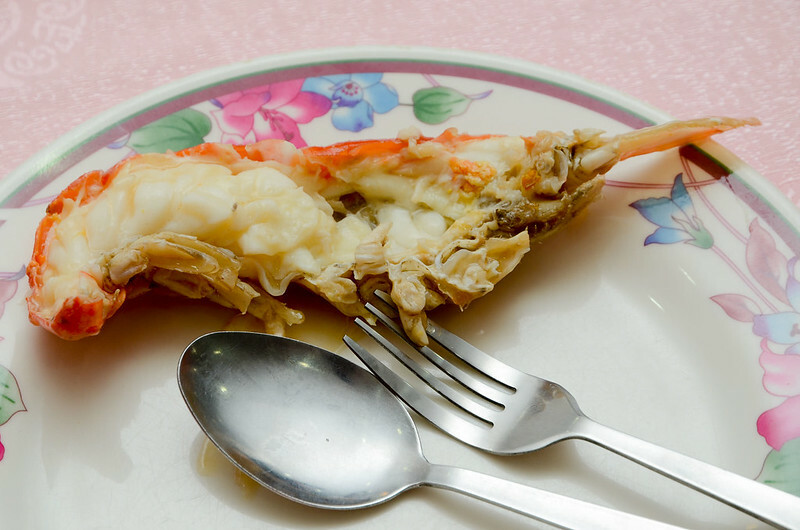 The salted eggs are thick and full of salty egg flavor and you will find yourself licking on the crab shell until it is clean. 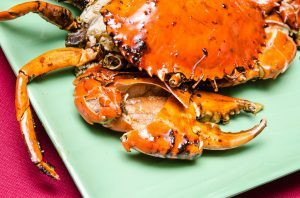 We tried both Australian crab and Indonesian crab here and I personally find the Australian crabs are tastier. Thor Hammer versus the crab claw. As you can see here the salted egg are mixed with curry leaves to further enhance the taste. 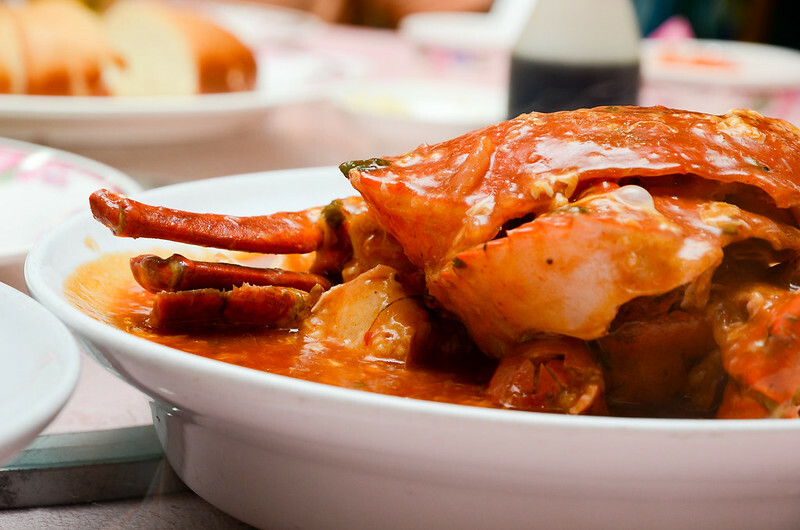 The crabs here are always fresh and the meat comes off from the shell easily. So delicious I must shoot another photo for drooling at night. We also tried this Sweet and Sour crab. It comes with a lot of gravy. Personally I still prefer my crab to be cooked with salted egg. 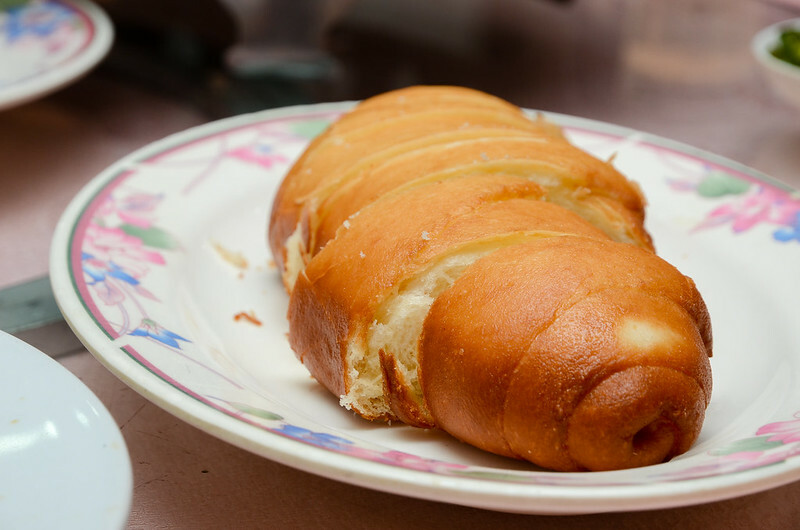 The bread for you to dip into the gravy of the Sweet and Sour Crab. 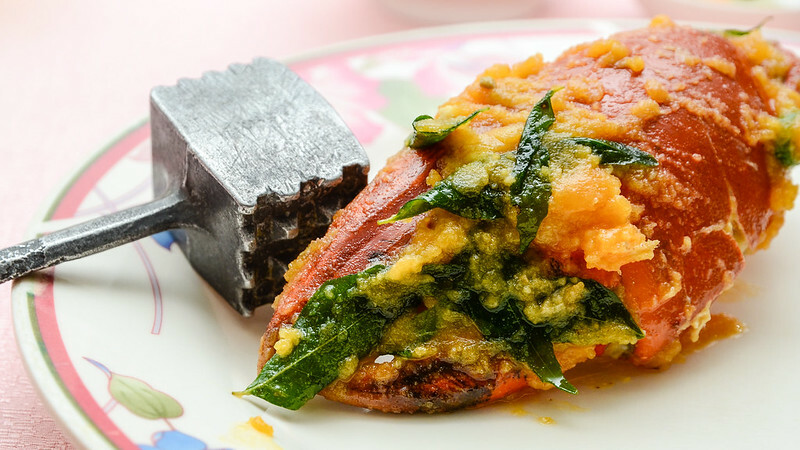 Steamed Kerai fish. Actually we ordered Patin fish but they serve Kerai fish and they look the same to us. 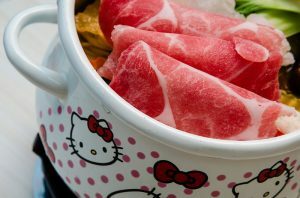 Meat is sweet but has a lot of bones. 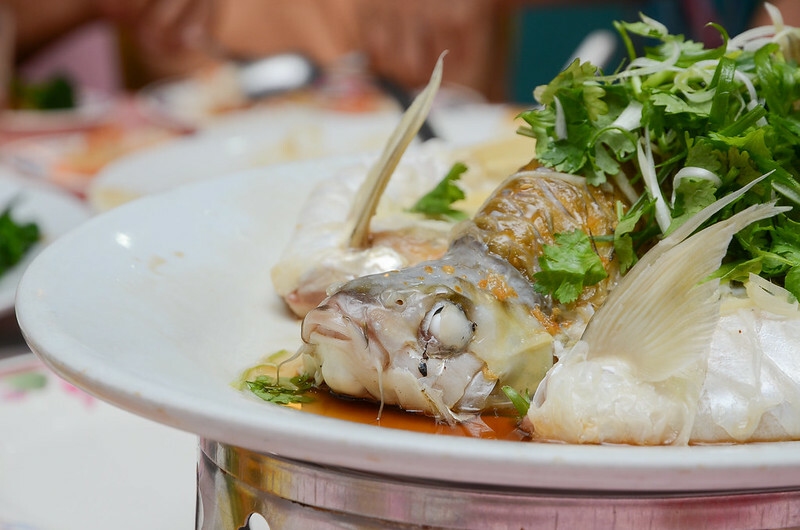 Steamed Tilapia fish at Green View Restaurant. 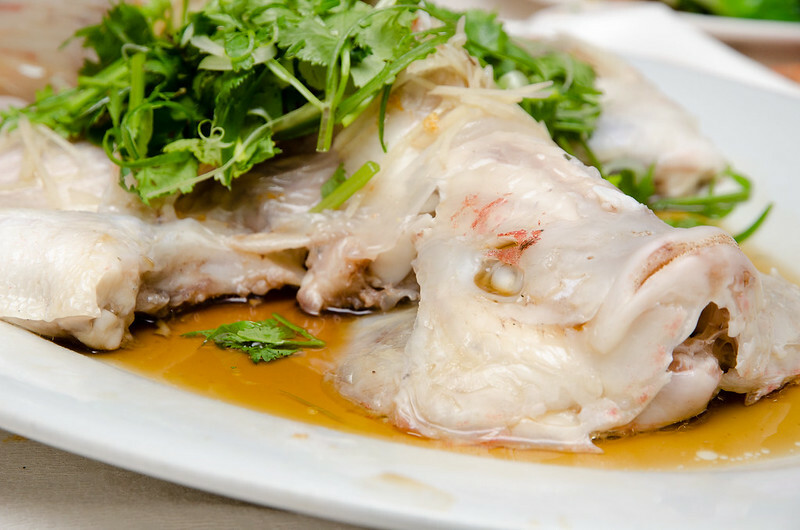 The best steamed tilapia is still the one at Lan Je Restaurant. 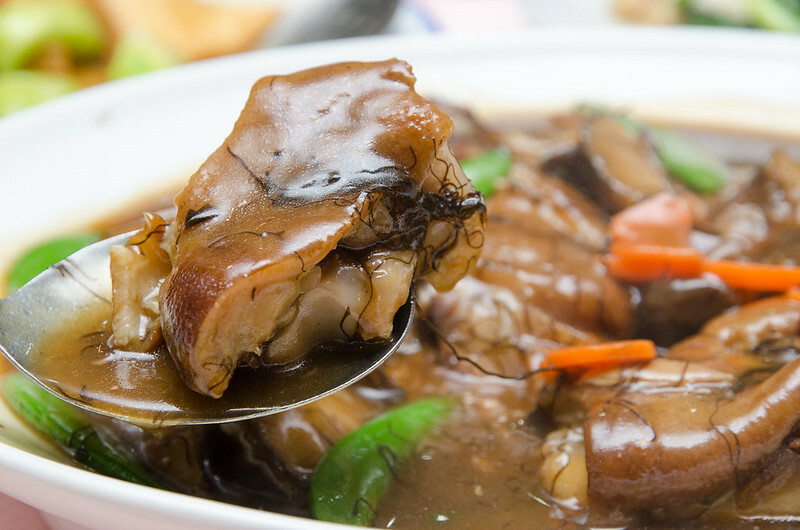 Another popular dish of Green View Restaurant is the stewed pork knuckles. 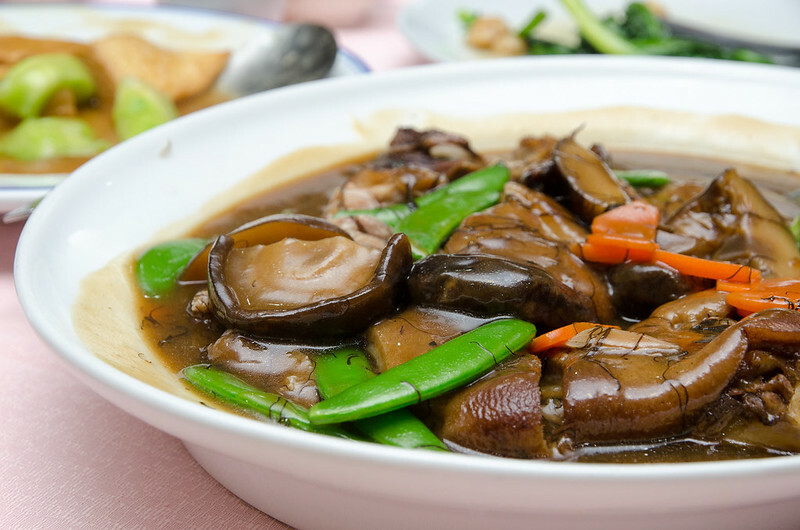 The pork knuckles comes with shiitake mushroom and bean. 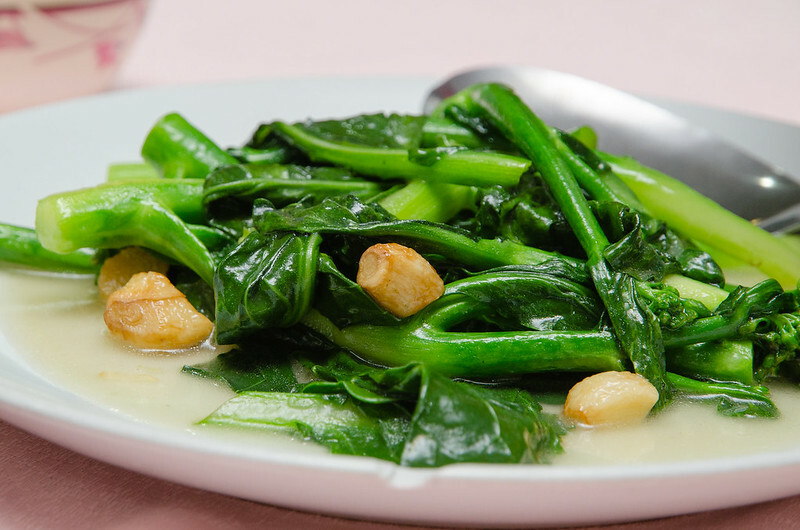 Stir fried kailan vegetables for the fiber. 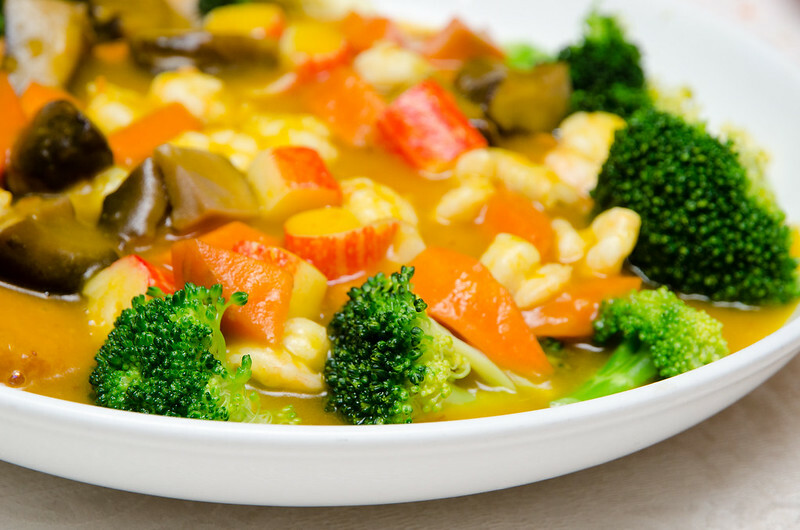 Pumpkin with broccoli and crab meat stick’s Green View Restaurant. 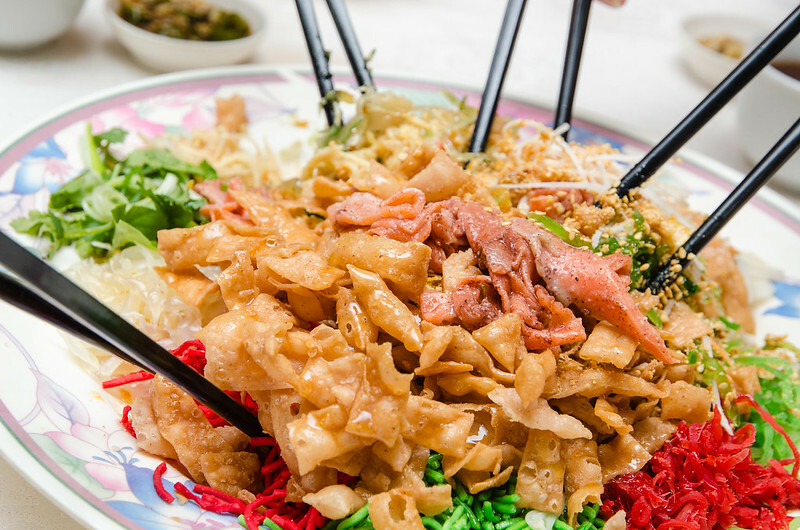 We celebrated our Chinese New Year eve here, so here is the delicious Yee Sang with salmon. This Chinese restaurant also have Korean Pear Yee Sang which is more expensive than the salmon Yee Sang. 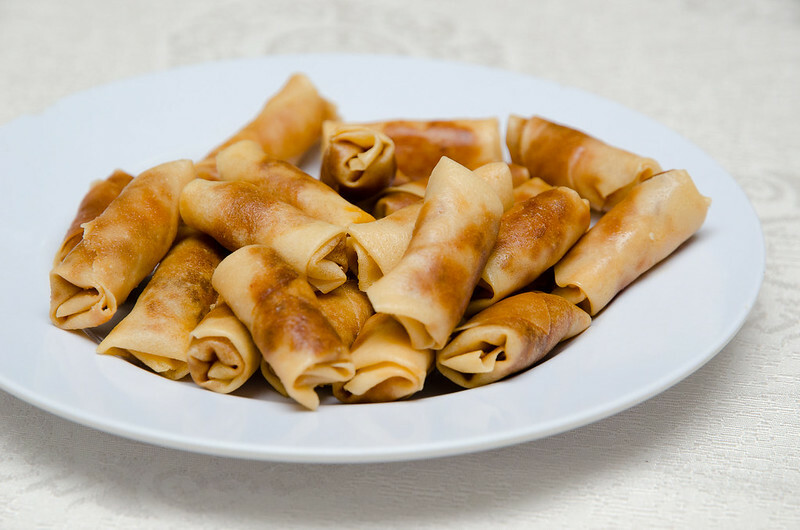 The deep fried popiah for the starter. 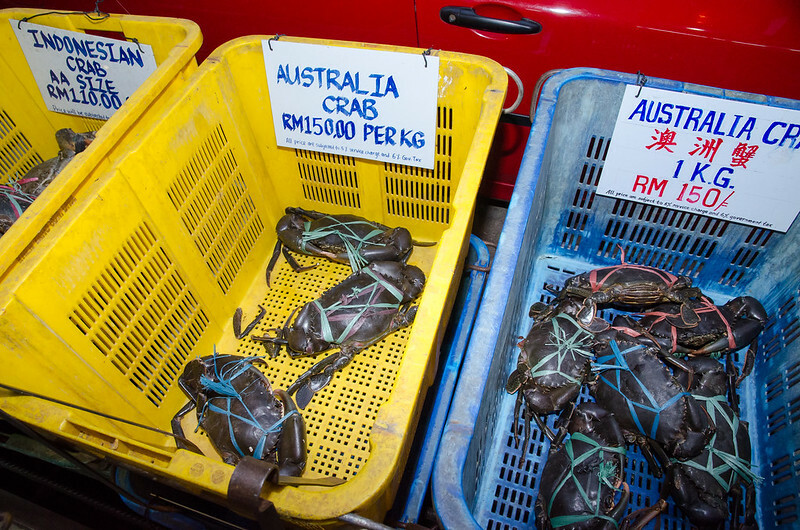 Australian crab and Indonesian crab. I tried both and prefer the Australian Crab personally. 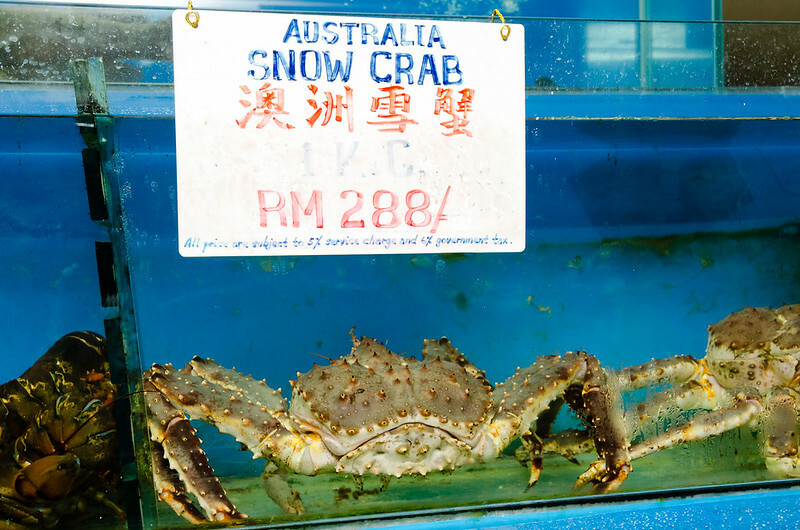 Australia Snow Crab for RM 288 / kg. Haven’t try this yet. 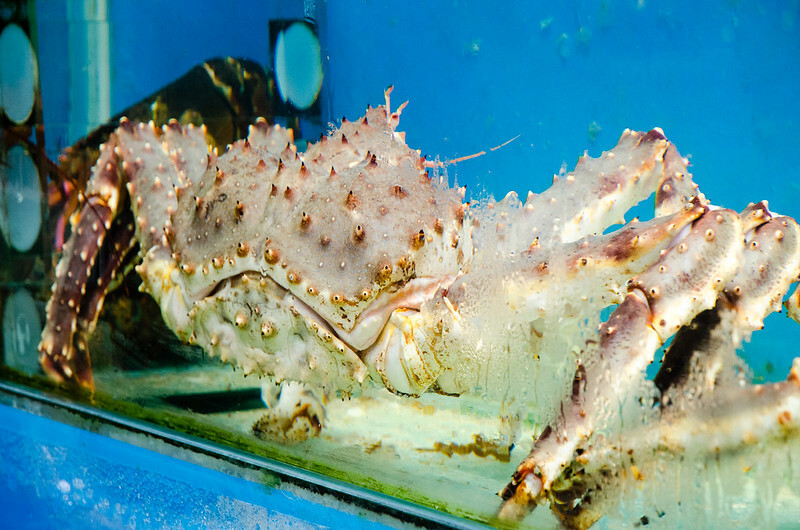 Another photo of this big crab with thorns at Green View Restaurant. 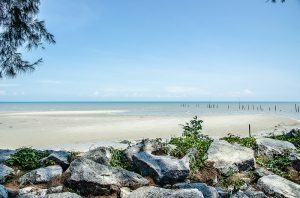 Fresh and live seafood for you to choose from. 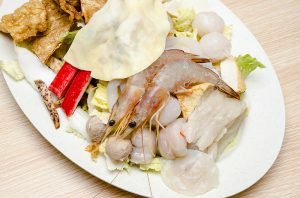 The 16 popular dishes of the Restoran Green View. Click here for full size. 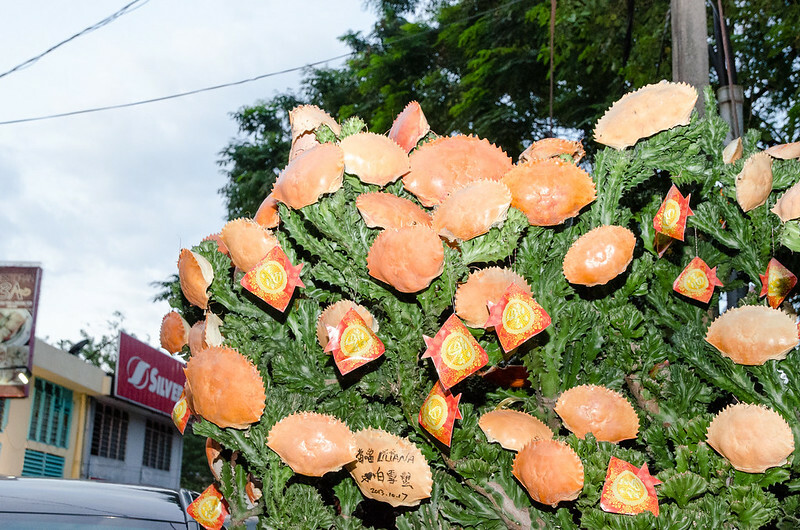 Spotted this crab tree in front of the restaurant. This is where the crab shells ended up at. The restaurant’s exterior. 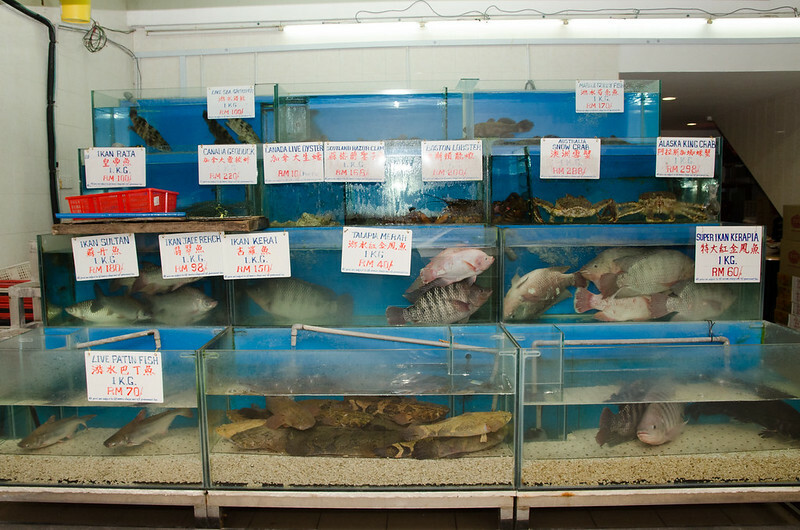 There are two floors of this seafood restaurant and it can get very pack at night. The parking space is also limited and many customers park their car on the roadside. Do make a reservation if you are planning to have a dinner here. 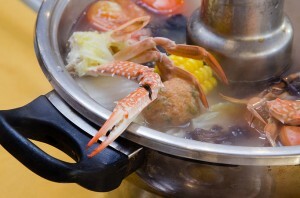 Fan of crab? 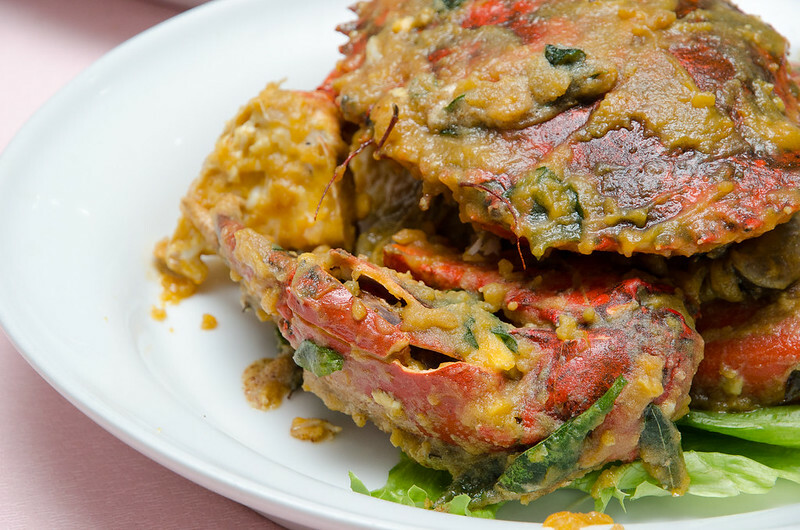 Check out the grilled crab at Hing Ket Grill House. 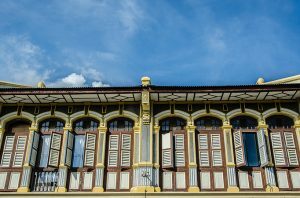 Opening hours: Everyday from 11am – 11pm.